A masseuse can give the best massage of their career but ultimately leave their customer dissatisfied if the spa treatment table is uncomfortable and poorly made. 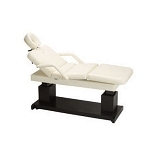 Therefore, it’s imperative to invest in a luxury massage table that will allow your work to really shine and speak for itself while simultaneously giving your customers a feeling of bliss. 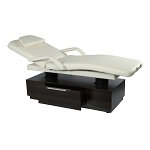 A good massage melts away someone’s personal worries and problems, so give them a spa treatment table they deserve. 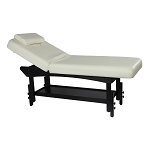 Our luxury massage tables will give you get the best return on investment. Your customers will notice the difference and come back for more when they lay down on your new table.